Our friends came over to watch the Lakers vs. Warriors game, so we thought it would be fun and easy to barbeque and make a taco bar. I love pretty much all tacos. I live in Los Angeles now, but I grew up in New Jersey and Arizona, so I have very fond memories of the admittedly unauthentic taco bar at Sizzler (“hard” corn shells, ground beef, iceberg lettuce, diced tomatoes, and orange cheddar) and of the Yaki tacos at The Islands (chicken teryaki, letuce, pineapple). 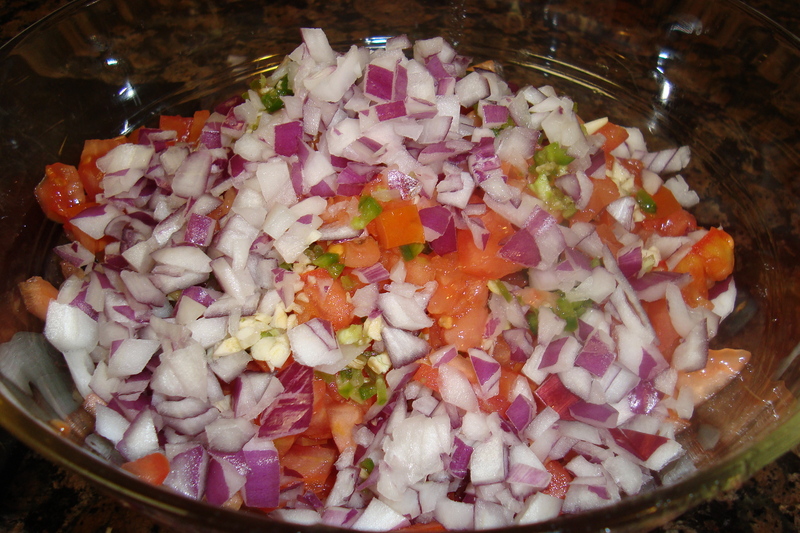 For pico de gallo, I just dice tomatoes, red onion, cilantro, and a jalapeno, and toss together with salt, pepper, and lime. Paco made this one, though! We usually make guacamole as well, but there weren’t any ripe avocados available. Next time we’ll think ahead!